In today’s digital marketing age many business owners and internet entrepreneurs struggle to get their brand recognized online. Possibly the most desired method of doing so today is by directly marketing your product or message to a targeted audience through email. However, what most people still don’t understand is that even with a massive targeted list of contacts, there’s still no guarantee that your message will be opened and consumed by the reader. Read on for 6 email marketing tips that will get your message opened at a consistently high rate…. If you’re like most marketers, email marketing is one of the most powerful channels at your disposal. Email reaches out to an already engaged audience — people who have already said yes to your marketing by opting in to your list (right?). It’s also an incredibly cost-effective channel. In fact, Magill research estimated that marketers earned $39 for every $1 they spent on email marketing in 2012. Now that’s a pretty good stat to include in your next presentation about the value of email marketing if I’ve ever heard one…. 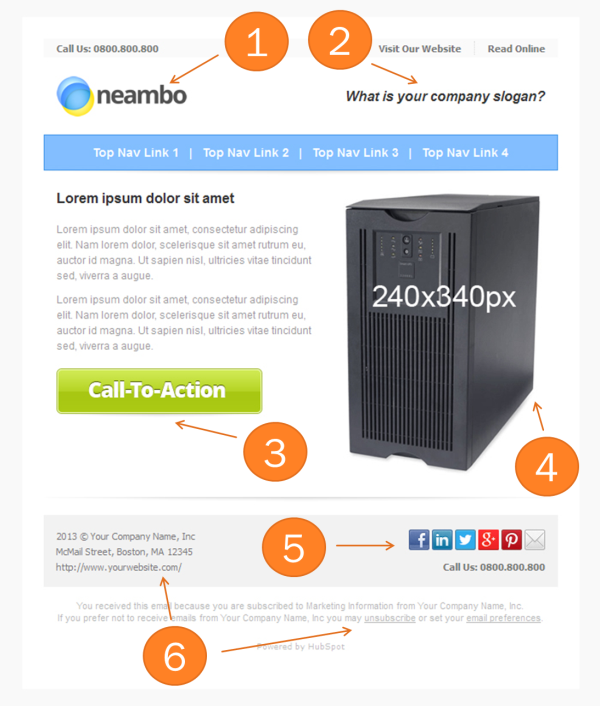 Create your HTML Email Newsletter using our Template Maker with image hosting. Our templates are tested and designed for higher email deliverability & click through rates. Should You Target Your Email Campaigns? Targeting is relatively simple to accomplish with just a little planning and forethought. The ultimate measure of whether or not an email list is targeted enough is the response of the customers. If you already have a healthy response rate, then more than likely you’ve targeted the content and offers perfectly given the makeup of your list. In this case, you should be happy with the results. If you aren’t getting the expected response, however, then you may take the simple steps outlined above in order to increase relevancy of the content over time and hopefully improve the response. Only then will you see an increase in click thrus and ultimately sales….